Baby photography studio session 4 month old little treasure! 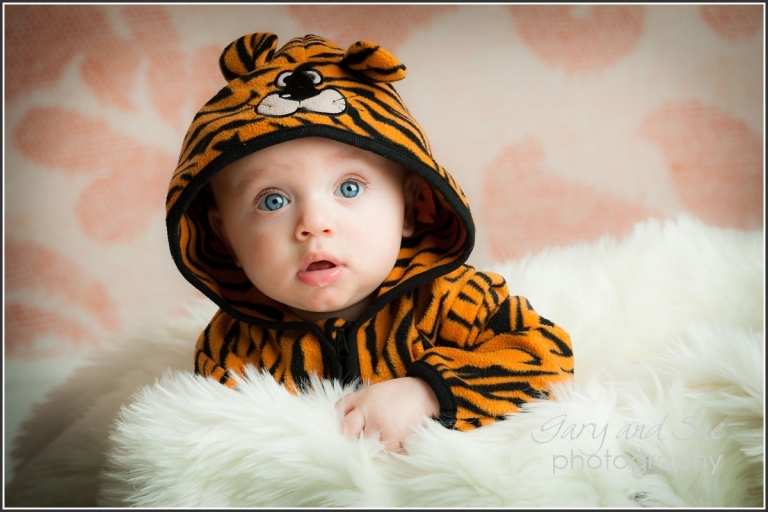 This is Ben’s Baby photography studio session 4 month old with us. We had the privilege of photographing Ben’s mum at the ‘Bump’ stage. So we are delighted that mum came back to us for Baby Ben’s Pictures. This is the first of Ben’s sessions with us as he is having a first year wall panel to record each of his stages, holding head, sitting and then standing. A brilliant way to record the massive changes that take place in a baby’s first year. I had to pick just one picture from the set – the complete slideshow video is below! There were just so many photographs to choose from! Mum brought along Ben’s ‘Tiger Onesie’ and we all loved it – so here it is!